Carl M:son Mannerfelt was born in Goteborg, Sweden on April 10, 1913. His father was Mans Mannerfelt, a captain in the Swedish army. In 1939 he married Ebba Ekman. They have one daughter and three sons. At school Carl Mannerfelt showed much promise as a sportsman and was a frequent winner in athletics. He held various Swedish school records in hurdle racing and later even became the Swedish and Nordic academic champion in this sport. He was (and still is) an excellent skier. He matriculated in Stockholm in 1933 and in 1938 he graduated (BA) at the Stockholm University (geography, geology, mineralogy and meteorology). In 1940 he passed his final university examination in geography. Between 1935 and 1945 he made various field and air photo surveys of the Swedish and Norwegian mountain regions. In 1936 he was a member of the Swedish-Islandic Vatnajökull expedition under Professor Hans Ahlmann, who studied glaciers as indicators of long-term climatological changes. In 1942 Carl Mannerfelt was employed as map editor at Generalstabens Litografiska Anstalt, Esselte, and there he immediately started to improve and rationalise production techniques, as well as to modernise Swedish map design. He had an excellent ability to visualise geographic phenomena, which was also evident in his photography. Carl Mannerfelt graduated in 1945 with his Ph.D. dissertation: Some Glaciomorphological Forms and their Evidence as to the Downwasting of the Inland Ice in Swedish and Norwegian mountain terrain. This learned essay contained many new ideas and was illustrated by high-quality maps, photos and, for the first time in Sweden, by anaglyph photo-maps and pictures. While employed as a cartographer at Esselte he was also Assistant-Professor in the Department of Geography at the Stockholm University. For one year (1947) during the absence of Professor Ahlmann, he was Head of that Department. In 1949 he was appointed Director of the Cartographic Division at Esselte. In this function he was responsible for the production of school-atlases, wall maps, world atlases, historical atlases, route maps for airline passengers, tourist maps and road atlases. Mannerfelt had a lifelong involvement with geography. For 40 years he was active on the board of the Swedish Society for Anthropology and Geography (1943–1983) and was its president three times, 1960-62, 1974-76, 1979-80. For eight years he was a member of the board of the Swedish Cartographic Society and its president from 1955-60. Carl Mannerfelt’s geographic and cartographic commitments naturally included much travel outside Sweden, always with his wife Ebba. This charming and active couple make friends easily, generously receiving them in their home at Djursholm outside Stockholm. Inspired by the turbulent development of cartography and the multitude of technological innovations, Carl Mannerfelt invited a number of foreign colleagues; most of them engaged in practical map production, to a meeting at Tollare, Stockholm: the Esselte Conference on Applied Cartography, July 27-August 2, 1956. Thirty-six experts from 12 countries accepted his invitation. They were brought together to discuss developments in cartography and reproduction techniques. At the end of the successful meeting Mannerfelt introduced the idea of more permanent contact between cartographic experts in the form of an international cartographic association. The concept was well received. With his Swiss, American, West German and French colleagues Mannerfelt gradually succeeded in converting the idea into a reality. Although the road was not easy he took each hurdle in his stride. In 1959 the ICA was founded in Bern. 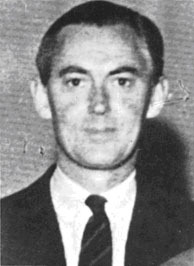 In 1962 Mannerfelt left the Esselte Cartographic Division and became Managing Director of the Stockholm Division of the organisation. Two years later, he was appointed President and Chief Executive Officer of the whole Esselte Group with 7500 employees. After 10 years of executive work, he advanced in 1974 to Chairman of the Board of Directors. At the age of seventy (1983) he officially retired from Esselte. He could then look back on 40 years of continuous development of the firm. From a small printing, bookbinding and publishing company, Esselte had grown into an international group with about 17 000 employees in 22 countries, engaged in a broad range of information-handling activities, including publishing and cartography. Even after 1962, Mannerfelt followed the development of cartography and the growth of the ICA with great interest. This was illustrated by the fact that as initiator of the Association, he gave his name to its highest distinction, the Dr. Carl Mannerfelt Medal. This award was proposed by the ICA and established in 1979 at a reception in Stockholm by the Swedish Academy of Sciences, while the effigies of the great explorers A.E. Nordenskiold and Sven Hedin looked down upon the scene. “In recognition of his bold initiative in convening the first international cartographic Conference in 1956, thus bringing together groups of cartographers of different nationalities, and of his vision in proposing an international body of professionals in cartography. In acknowledgement of his perseverance in pursuing this vision and establishing an international cartographic association, thus creating new opportunities for research and education, raising the status of cartography and contributing to a growing awareness of its professional identity and hence to a new “joie de vivre” for many individuals.